Pets are often diagnosed with skin diseases or infections that are helped or cured with medicated bathing. Both oral medications and topical therapy (treatments applied to the skin) must be used as directed and often yield better results when used together . Bathing and shampooing your pet is easy to accomplish and can be done at home. Bathtub, ideally with a spray nozzle or hose – attachment shower head. In warm weather, bathing c an be done outdoors in an area with good drainage. Plastic or metal container (bowl or small bucket) for collecting and pouring water if spray nozzle or hose attachment is unavailable. For larger dogs and pets that resent being bathed, two people should be present for helping to lift or restrain the pet. 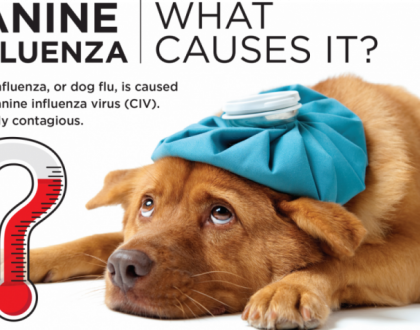 Be sure to ask your veterinarian about other conditions (heart disease, respiratory disease, diseases of the eyes) if your pet has these; they could be worsened by the act of bathing if not well tolerated and might make bathing unwise. If your pet shows resentment to having this done, st op the medicated bathing and call your veterinarian for further advice. It is imperative that you not put yourself at risk. Your pet’s reaction may also be an indication that another disorder of the skin is present and that a prompt recheck is necessary. Place a small (1/4 to 1/2 inch [0.5 to 1 cm]) strip of sterile eye lubricant ointment on the surface of each of the pet’s eyes. This is to prevent irritation of the eyes from shampoo, because pets do not know to keep their eyes closed during shampooing. Place your pet in the bathtub, and prepare to soak the pet’s haircoat from head to toe with lukewarm water. Be sure the water is lukewarm and comfortable to the touch, especially if the pet’s skin is inflamed or reddened (too hot or too cold can be very painful). Begin soaking with water at the top of the head and down the spine for the length of the whole body, so gravity pulls the water downward and soaks through to the skin. Use one hand to direct the jet (or pour from a small bucket or bowl) and the other hand to direct the water deep into the haircoat when bathing thick – coated animals. This soaking can take less than a minute in thin – coated dogs and shorthaired cats, longer (up to 10 to 15 minutes) in heavy – coated dogs with dead skin, dried secr etions, or other debris that soaking can help to soften and loosen. Lather the shampoo into your pet’s coat. For many medicated shampoos, it is important to allow the shampoo to sit for 10 minutes, or the prescribed time if otherwise indicated by your vete rinarian or by the product instructions. This contact time allows the medicated part of the shampoo to work; use a watch or clock to keep track of the time. Rinse well. Ensure all soap is removed. A thorough rinsing should take at least as long as the shampooing — 10 minutes or more in many cases. Towel dry (do not blow dry coat). For cats, a grate or rack may be placed in the bottom of the tub; this allows your cat to grab onto something while being bathed, as many cats resent baths. The skin may appear redder immediately after a bath because of increased circulation. You should compare the color, temperature, and comfort level/lack of pain of the skin at the same time day after day to see whether the skin disorder is improving or wors ening. Why shouldn’t I blow dry my pet’s hair coat after a medicated bath? It is advised to let the coat air dry. Although you have rinsed the pet’s hair coat well, some residue remains that stays in contact with the skin. Appli ng heat may deactivate the medication that is to remain in contact with your pet’s skin. Can I use medicated shampoo that is made for humans on my dog or cat? Usually not, because most medicated shampoos made for dogs and cats contain ingredients designed to work well with animal skin specifically. 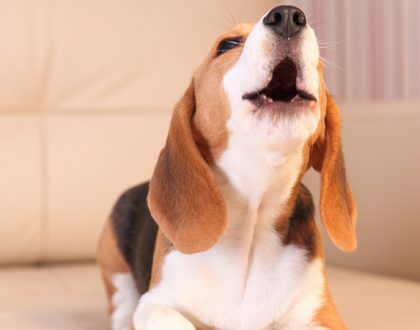 Human skin is very different from dog or cat skin, and shampoos made for people may cause irritation, drying, and inflammation of the skin of dogs or cats. My veterinarian advised me to bathe my pet twice weekly. However, I have read in my dog magazine that I should not bathe him more than once a month. Should I continue with the doctor’s recommendation? 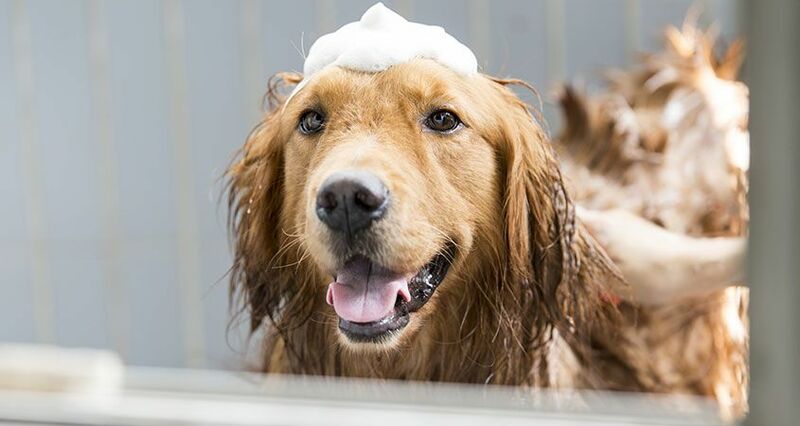 Medicated shampoo has been developed to be used more frequently than regular pet shampoo. Also, the medicated b aths will only occur for a short time. Once your pet’s skin condition has resolved, you may continue to bathe him or her with regular shampoo monthly. Can I buy medicated shampoo at the pet store? No. Some medical – sounding claims are made by products avail able at pet stores, and indeed, just lukewarm water (hydrotherapy) is beneficial to the skin. But the medicated shampoos required for treating skin diseases are prescription products and must be dispensed by your veterinarian. Can the groomer apply this sh ampoo? If you cannot bathe your pet, you may call a groomer and ask if he or she will bathe your pet with your medicated shampoo, as directed. 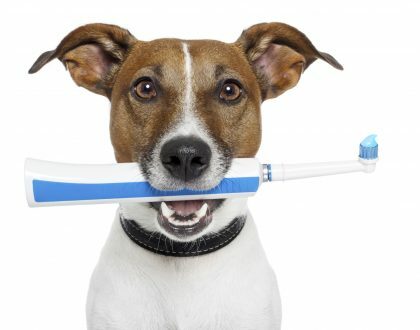 Advise the groomer of the condition for which your pet is being treated.